Over the years, diabetes care has become relatively easier. Thanks to the newer technology, which allows advancement in the diabetes medical field, diabetic patients today are in better positions than diabetic patients in the 1980s and 1990s. Things are definitely looking better now for diabetics. Injections and pills have improved considerably, which allows diabetics to not be as strict in their diets as they would have been in the past. Some diabetics don’t even consider them having diabetes as a life obstruction; something that they can’t control. To them, diabetes is just another daily life battle they are used to fighting and winning. Due to the advantages they have now over diabetic patients in the 90s or 80s, diabetic patients these days are offered a range of choice on how to live their life. Whether it’s their meds or their food or even their shoes, diabetic patients are not engaging in the kind of chained lifestyle that were enforced in the 1980s. A significant drop was seen in the number of diabetes-related amputations in the 2000s compared to the 1990s. The most common kinds of complications for diabetic patients are the lower limbs amputations, which are caused by the nerve and blood vessel damages that affect the blood supply. Lower limbs and feet complications are the kinds of things that diabetic patients would be afraid to get because once there’s a problem there; chances are they will never get their old limbs and feet back. These days though, things are different. There are many ways for diabetic patients to take extra precaution of their lower limbs and feet, including special shoes, sandals and slippers that they can wear. Other areas of the leg complications include below-ankle, below-knee and above-knee. There has been a decrease in the number of diabetic patients with these kinds of leg complications in the 2000s. Some of the advantages that diabetic patients have these days are better drugs to take care of any kind of leg complications, better and faster help from the right doctors and foot ulcers that they can treat themselves at home without seeing a doctor. Furthermore today, there are diabetic clinics that specialise in finding out underlying macro- and microvascular diseases and there are also diabetic foot ulcer clinics. There have been countless of diabetic patients, who have suffered complications in their eyes. Diabetic retinopathy, as its known, used to be one of the most common complications suffered by diabetic patient’s right after its most popular leg complications. Most of the time, diabetic retinopathy affects the elderly diabetic patients to the point that they lose their vision. Once a diabetic patient is diagnosed with diabetic retinopathy, it becomes harder to get rid of this complication. In today’s day and age though, diabetic patients are provided with several options to help them with their vision complications. Instead of laser, injection is being considered to be a reliable treatment to help diabetic patients, who are suffering a more advanced form of diabetic retinopathy, also known as proliferative diabetic retinopathy. Ranibizumab is said to help reduce the risk of the complications worsening and it is effective for at least 2 years for patients, who are suffering from proliferative diabetic retinopathy. Things are different these days when it comes to food, especially for diabetic patients. Whether its insulin or meds or both that the diabetic patients depend on, they can pretty much eat what they desire to eat. Obviously, it will have to be done with a healthy meal plan accompanied by exercise and it shouldn’t be exaggerated in a way that the diabetic patient is taking advantage of the situation, which can happen sometimes. 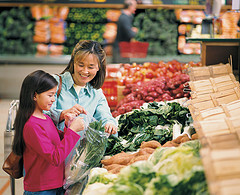 The choices for food are plenty these days for diabetic patients. There are breakfast cereals that are made for diabetics, including oats with ingredients like buckwheat or yam. There’s the option of having brown rice instead of white rice. There’s also the option of having diabetic milk instead of the normal type of milk. That said, diabetic patients don’t have to adhere to eating only food made especially for diabetics. They can eat just like anyone else, but only if they are able to control their urges and be discipline with their food intake. If they have that under control, anything is possible! It can be said that things are easier for diabetic patients these days as everywhere they go, there has to be info on something to do with diabetes. It’s hard to live life for a diabetic patient and be oblivious to the way a diabetic life should be led. The signs are there everywhere on how to live a diabetic life successfully, which definitely does show how life has become easier to live as a diabetic patient post 2000s. Today, the moto for diabetic patients is clear: if you want control of your diabetes, take control of yourself first! People should always remember diet is the first thing to change to better health.